You are clear on your fundraising goal, now it’s time to get to work making those goals a reality. How many donors give at various gift levels? How many are loyal (regularly given over a period of years)? How many are ripe to be asked for a larger gift? 8. Reflect on your prospect pool (those who have yet to be donors) and note where those folks fall in terms of size of gifts and readiness. 9. Know your Board and be realistic about their fundraising willingness and ability. 10. Create gift pyramids—how many gifts and prospects at what levels will you need to reach your goal? Can you get there from where you are? 11. Looking at your gift pyramid, what are the ways you’ll need to fundraise? Remember, the larger the ask, the closer you must be to your prospect. While some people may make a five-figure gift as a result of direct mail, most won’t. 12. 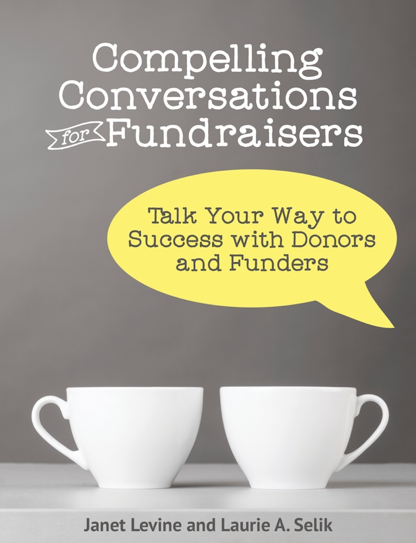 Build your fundraising calendar. If you have ongoing appeals you should have much of the calendar already filled in. You certainly don’t want to schedule your gala in the same month as your direct mail appeal. You probably don’t want to schedule a high-end house party at the same time, either. 13. Thirteen is sometimes considered an unlucky number and you may want to skip over this number. Don’t. This is the step where you make sure you have your fundraising teams in place. These are the Board members and senior staff (managed by the development professional) who will at the center of your major gift program. 14. Identify 10 – 25 major prospects that you will be cultivating with an eye toward soliciting this year. Figure out your first steps with each. Now, take a deep breath, get a good night’s sleep and start Fundraising By the Numbers. This entry was posted in business practices, development, fundraising and tagged business practices, development, fundraising. Bookmark the permalink. Speaking of numbers, is there an industry standard for how a pyramid should look? For example, if you broke your annual donors down to less than $1,000; $1,000 to $9,999; $10,000 to $99,999; and $100,000 and above, would you expect to have 90% in the bottom tier, 9% in the second to bottom, 1% in the second to top, and .1% in the top? Is there a typical or desirable ratio? Hey Matt: There are some “guidelines” but I’m not sure I’d call it an industry standard. A good rule of thumb is that 10% of your gifts will provide 60% of your goal and these, obviously will be the higher end gifts); 20% of gifts equal 2-% of the goal (mid-range) and 70% of gifts (clearly the lower-end gifts) also equal 20% of the goal.